One year ago, a sunny day of summer, we got married in Stockholm. It may sound like a cliché, but I will say it anyway: it has been the most beautiful day of my life. My voice trembled when I promised her my love, and my heart was full of joy to see her beautiful smile, and her flickering green eyes. However, if you ever got married, you would probably agree that the wedding day is also a great relief. Starting one year before the fixed date, every day is a race against the time. Choose the location, find a minister for the ceremony, buy the dress and the rings, prepare the invitations, select the guests, discuss over the menu, go to the cake tasting, visit a couple of wedding promotional events, book a music band, change idea about something you already decided, and so on. It may well go out of hands. Especially, if you do like us, and start planning a wedding in Sweden, while living in Japan. So it is kind of a relief to be married, and to get invited to other people weddings. Now it is their turn to get crazy preparing the event of their life. And we will have just to enjoy the ceremony, the dinner, the dance. My sister will get married this coming September, and my sister-in-law next year. But they are not the only ones. Some more friends are planning their day in Italy (or in Slovenia), some other friends in California. I loved the movie! Kinda silly, but a lot of fun. 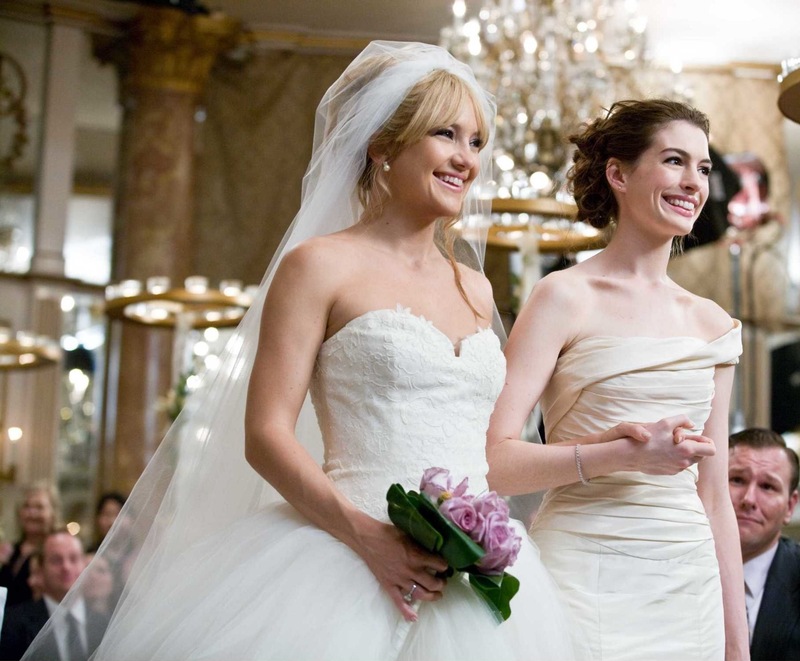 My bride reminded me so much of both Kate Hudson and Anne Hathaway, even though she denies it! Looking forward to visit California! Walking on sunshine!